Jessie Royce Landis, WHAT A CHARACTER! I knew I wanted to write about Jessie Royce Landis for the What a Character! blogathon when I found myself wishing Jessie Stevens—instead of her daughter Francie—would catch John Robie. A great character actress makes the audience want to understand her character, know more about her background, why she makes the choices that she does. Landis does this beautifully in her breakout role in Alfred Hitchcock’s, To Catch a Thief. 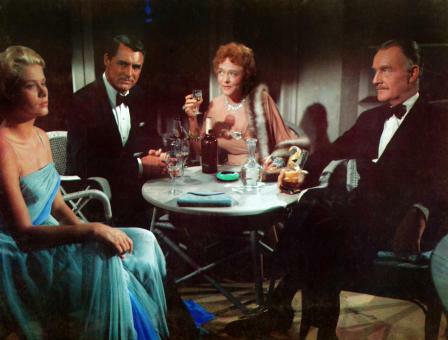 The flirtations fly from Landis’s Mrs. Stevens to Cary Grant’s Robie. Yet, Mrs. Stevens pushes Francie, played by Grace Kelly, into Robie’s arms. The way Landis plays Mrs. Stevens as intrigued, delighted, and attracted to Robie makes me wonder why she doesn’t try to catch him herself. And yet at the same time, Landis shows Mrs. Stevens’ maternal presence as Francie’s mother and Robie’s potential mother-in-law. Landis manages to balance those roles—potential lover and maternal figure—without tarnishing either view of Mrs. Stevens. It’s never gross. Her banter with Robie, while flirtatious at times, never goes far enough to make us believe she would act on her attraction to Robie once Francie is interested in him. Yet, that same banter along with her subtle smirks at Robie are what show a familial-like bond between the two. It’s a delicate balance, but Landis pulls it off. Hitchcock certainly knew what he was doing by casting her. Although she hadn’t been acting on the screen that long, when To Catch a Thief was filmed, Landis already had decades of experience as a theatre actress. She was far from a novice. Born in Chicago, Illinois on November 25, 1896, Jessie Medbury made it to Broadway at the age of thirty. Before coming to New York, Jessie acted at the Playhouse in Chicago in her twenties. Shortly before she made her Broadway debut, Jessie married Perry Lester Landis. It’s not exactly clear where the name Royce came from since Census documents list her middle initial as either J or T, but Jessie’s new husband’s last name became her own. 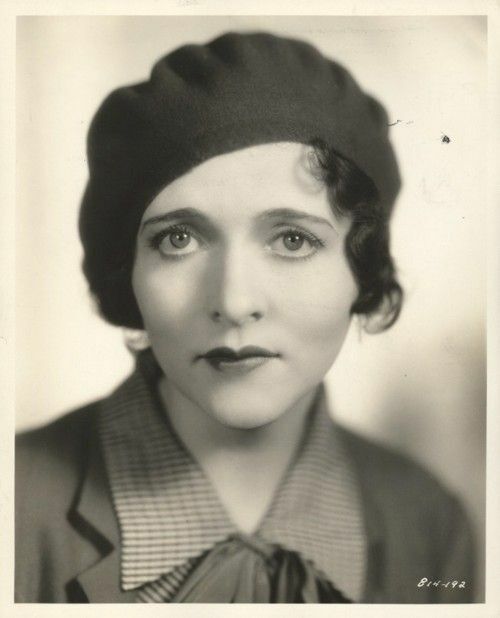 She used the name Jessie Royce Landis in her first Broadway role in The Honor of the Family (Dec. 1926 – Jan. 1927). When she and Perry, after twelve years of marriage, divorced in 1935, Jessie kept the Landis name. After all, from 1926 to 1935, Jessie starred in fifteen stage productions using that name. She married again in 1937, but that marriage to Rex Smith ended after seven years. In the meantime, Jessie continued to work on Broadway. She performed in comedies and dramas. She even did Shakespeare twice—first as Hermione in The Winter’s Tale, and then as Queen Elizabeth in Richard III. 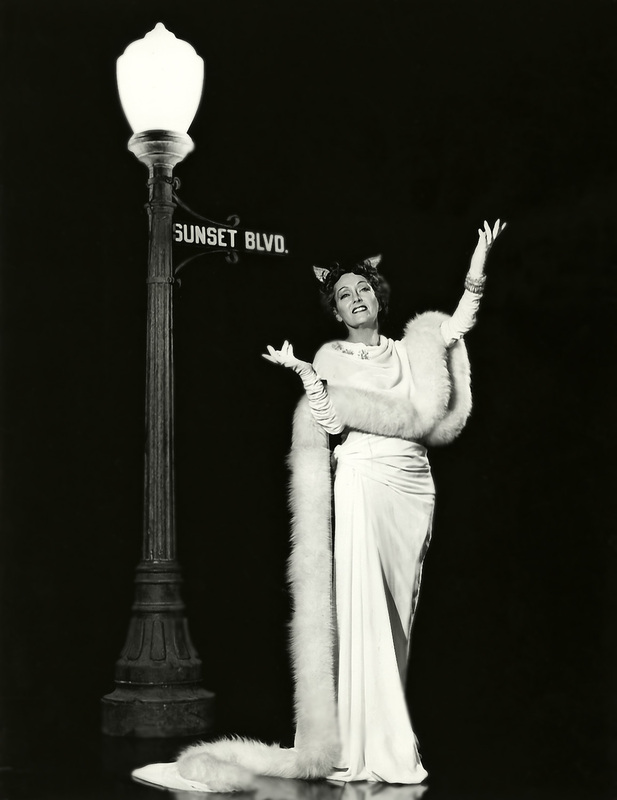 Having acted in thirty-three Broadway productions by 1953, Jessie was already a successful stage actress, but, lucky for us, in the 1950s she became a success on the screen as well. Between 1949-1950, Landis appeared in four films—Mr. Belvedere Goes to College, It Happens Every Spring, My Foolish Heart, and Mother Didn’t Tell Me. She stayed off the screen for five years after making those films. Then, in 1955, Landis appeared in Hitchcock’s To Catch a Thief. 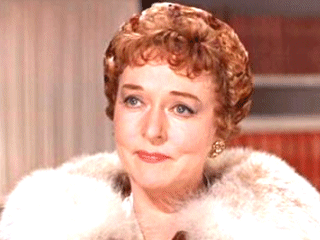 Her layered portrayal of Mrs. Stevens led to her role in The Swan, in which she portrays Grace Kelly’s mother again. Just as before, Landis’s character can’t help meddling in her daughter’s love life. In 1956, Landis married Maj. Gen. J.F.R. Seitz. They remained married until her death. In all, Landis appeared in ten films after her success in To Catch a Thief. The last film she appeared in was Airport. Landis passed away in February of 1972. She is buried in Danbury, Connecticut. Ernest Lehman, who wrote the screenplay for North by Northwest, said that Landis was “wonderfully amusing with little gestures,” and he’s right. It’s Landis’s subtle looks and movements that seem ingrained in her as though she really is the person she’s playing. I love Cary Grant, but when I exam the two of them side by side, I see Cary Grant doing that amazing stuff that Cary Grant does, and then I see Clara Thornhill. Not Jessie Royce Landis. I see the character. That’s the beautiful thing about a talented character actress. It’s not something that most mega-movie stars can do. Jessie Medbury can make us forget who she is, and that’s a character worth celebrating. This post is part of the WHAT A CHARACTER! 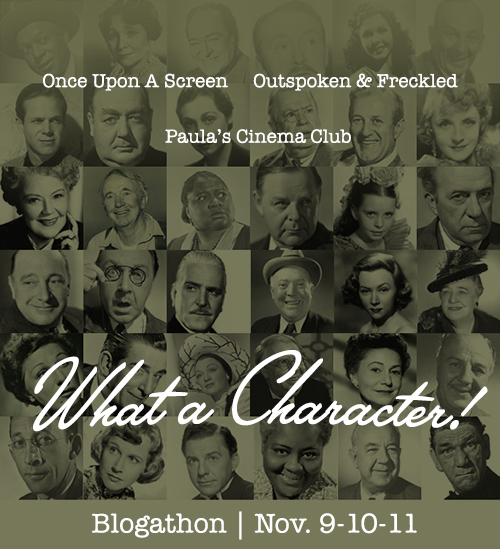 blogathon hosted by Outspoken & Freckled, Paula’s Cinema Club and Once Upon a Screen. Thanks for reading and a special thank you to Aurora for hosting this post on her fabulous blog. Previous The Many Faces of Jane Darwell, WHAT A CHARACTER! Next Harry Davenport, WHAT A CHARACTER! Great tribute. Such a pity Hollywood didn’t beckon sooner. She would have been a lovely leading lady. I agree. It’s too bad her theatre performances weren’t filmed. I’m sure she was spectacular. What a character indeed. She had that distinctive, knowing smirk. But not in a bad way. It was sarcasm that was delightfully humorous in a non-threatening way. She was the perfect mom or mom-in-law type. FUN write-up! “It was sarcasm that was delightfully humorous in a non-threatening way.” – You summed her screen aura up perfectly. Always balanced. Thanks for commenting. You bet! And thanks for contributing to our blogathon, Mae! Maegan, you highlighted my favorite roles by Ms. Landis and summed up her genius so well. Thanks for this! So glad you enjoyed it. 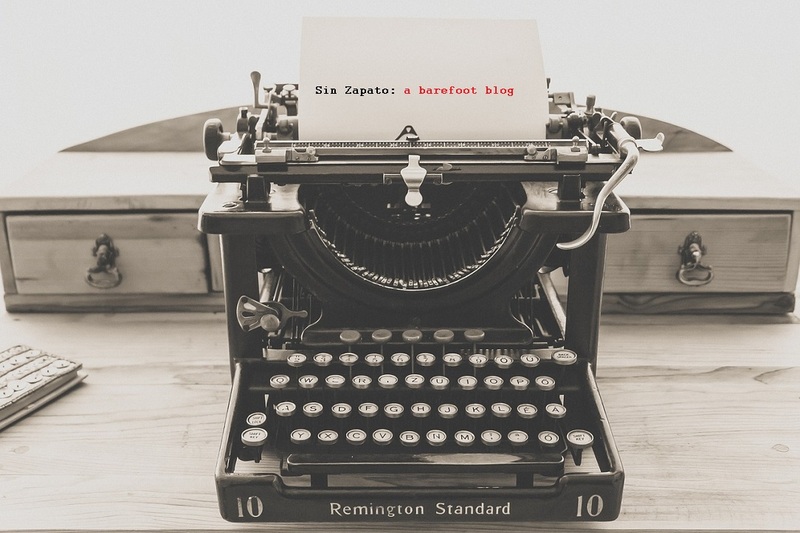 Thanks for hosting this awesome blogathon! With so relatively few films for us to enjoy, Ms. Landis gives us the epitome of the show business maxim to “leave them wanting more”. She’s an absolute treat on two episodes of TVs “Ironside” that I recall fondly, one as the Chief’s aunt with the great episode title of “Why the Tuesday Afternoon Bridge Club Met on Thursday”. I’ve never seen her on Ironside. I’ll have to check it out because just like you said she makes me want to see more of her work. Thanks! Wonderful Post!!!! It was great to learn more about the woman I loved in North by Northwest. So glad you enjoyed it. Thanks for commenting! Thank you for this lovely tribute to Jesse Royce Landis. I’ve enjoyed everyone of her performances that I’ve been able to watch! You’re welcome. I’m delighted you enjoyed it. WONDERFUL!! Love her and I could visualize the amusing little gestures as I read that. With all due respect to Grace Kelly, I’ve always thought that Kelly seems like a wet rag in the personality department whenever she shares a scene with Landis. A wonderful actress! You’re welcome! Thanks so much for posting it! I love this lady. For me, she just lights up the screen with her acting abilities. I could watch her all night long. This is a great tribute to a talented woman. Thank you for sharing! Even if she’d just done NORTH BY NORTHWEST, I think she would have been remembered. 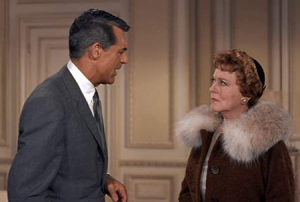 Her scenes with Cary Grant are, to me, the highlight of an excellent movie. And even though I know her age, I never have a problem with it watching the movie.